the night blooming cereus. You'll see it along Paia, the West Side, the far south of Makena, and in other hidden spots. It's a great symbol for the sultry days and nights of August. 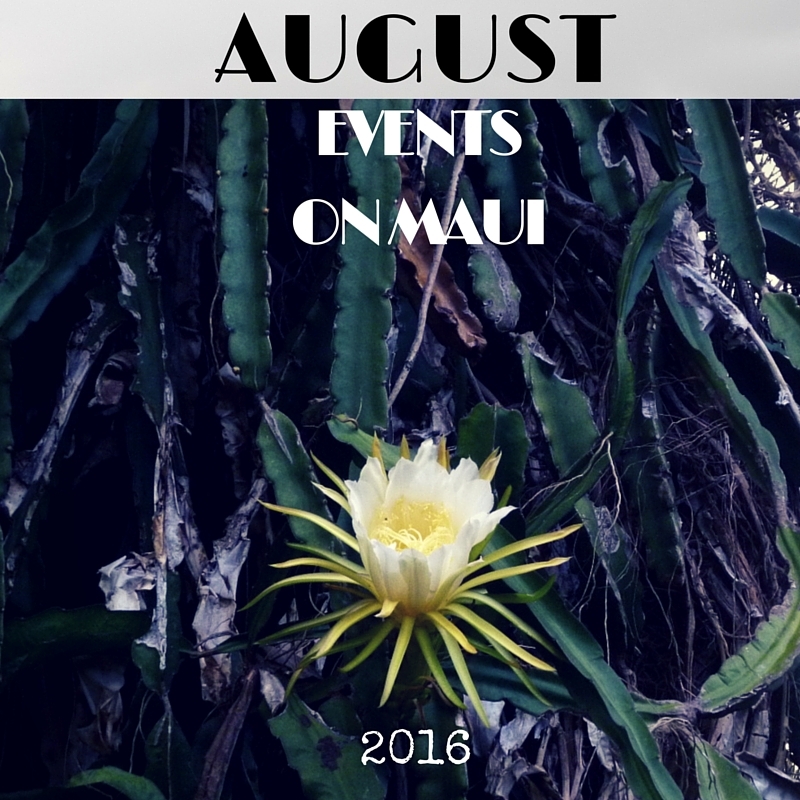 Obon Festivals on Maui take place at different missions and temples: Maui 2016 Obon Schedule. Saturday, August 6, 9 am. Working Equitation Schooling Horse Show. Competitions include dressage, ease of handling, and speed. Free for spectators. Haku Baldwin Center, Makawao. Saturday, August 6, 10 am – 2 pm. Family Day at the Hui No’eau Visual Arts Center. Scavenger Hunt, Face Painting, Bake Sale, Hands-On Art Workshops, and more! Makawao. FREE! Sunday, August 7, 5 pm – 6:30 pm. Maui’s Annual Hiroshima/Nagasaki Remembrance. Lahaina Jodo Mission. FREE. Monday, August 8, 9 am – noon or 1 pm – 4 pm. Learn How to Use Census Mapping Tools. Sessions on census mapping at Maui County Business Resource Center, Kahului. Thursday, August 11, 7 pm. “The Restoration of Family Ties,” a slide show by Valerie Monson of modern-day and historical photos telling the stories of Ka ‘Ohana O Kalaupapa. The ‘Ohana works to reconnect descendants with their ancestors at Kalaupapa, the place of exile of Hawaii’s Hansen’s disease patients for over 100 years. Pukalani Tavares Community Center’s pool-side meeting room, Pukalani. Free. Saturday, August 13, 9 am – 3 pm. 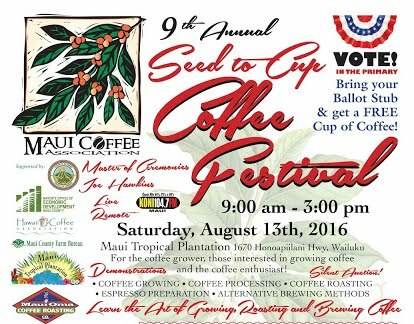 Seed to Cup Coffee Festival. For the coffee lover, coffee grower, and coffee enthusiast. Great coffee, food, a coffee themed fashion show. Learn about coffee processing, roasting and alternative brewing. Maui Tropical Plantation. Free! Saturday, August 13, 6 pm – 9 pm. 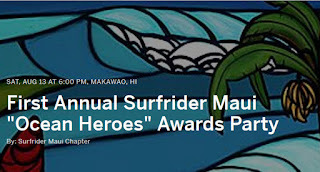 First Annual Surfrider Maui “Ocean Heroes” Awards Party. A special benefit evening featuring garden to table reception, environmental awards ceremony, eco-inspired silent auction and epic musical performance by local favorite, Kanekoa. Chef Ben Diamond will serve an array of tasty organic treats with ingredients sourced from Lumeria and neighboring farms. Lumeria, Makawao. $100. Saturday, August 20, 9 am – 4 pm. Hana Cultural Center Hoolaulea. This annual festival features the people and culture of Hana with Hawaiian food, music, history, farmers market, games, and crafts. Hana Fair Grounds. Free. Saturday, August 20, 6 pm – 9 pm. Ke Alahele Education Fund Benefit Dinner and Auction. 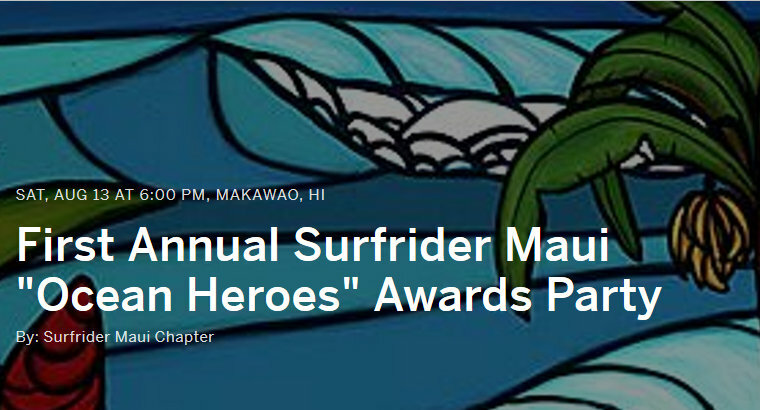 This gala event raises money for STEM (Science, Technology, Engineering, and Math) programs in Maui County. Featuring live and silent auctions, gourmet dinner, and a game of Family Feud – STEM style. Fairmont Kea Lani, Wailea. $175. Thursday, August 25, 7 pm. Papa Aina. This evening event is part of the International Crop Biodiversity Festival that will be held on Maui from August 24-30. Maui’s cultural practitioners and hula hālau will perform ‘oli (chants) in honor of the Hawaiian gods and their connections to our beloved food and use plants. Maui Nui Botanical Garden, Kahului. Tickets are $35 ($55 for two) advance purchase. Friday, August 26, 7:30 pm. Starry Night Cinema: Zootopia – Free film screening for the family on the lawn. MACC. Free! Gates open at 6 pm. Saturday, August 27, 10 am – 3 pm. Maui Wedding Expo. Maui’s top wedding coordinators, entertainment, photographers, caterers, florists, and more showcase their talents and skills. Open to the public. Sheraton Maui, Kapalua. Free. Saturday, August 27, 9 am - 4 pm. Indigenous Crop Biodiversity Festival Day. A day of celebration and fun for the whole family. 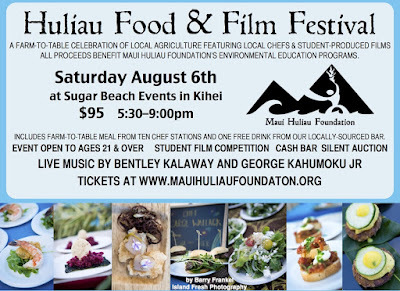 All the Hawaiian food and use plants gathered in one place with cultural practitioners, farmers and conservation crews, food, and entertainment. Admission: $5 at door; $3 if you bring your own reusable plate, utensils, and water container. Maui Tropical Plantation, Waikapu. http://mnbg.org/events.html and www.icbf-maui.com. Saturday, August 27, 7pm. Gary Paul Nabhan in the Green Room by the Merwin Conservancy. This celebrated nature writer and pioneer of the local food movement will be presenting his work. MACC, McCoy Theater. $25/regular, $10/students.